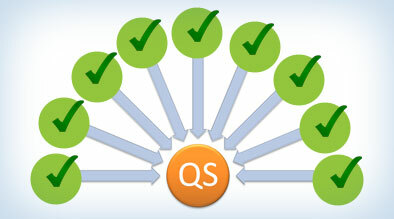 It’s known that quality scores are the primary measure of a keyword’s relevancy and an indicator of future performance. As such, we have gone into great detail as to how quality scores reflect Adwords’ PPC algorithm and even selected it as a featured topic in our webinar on the Top PPC Trends of 2012. As such, whenever Google changes or reveals more information about quality scores – those occurrences typically create quite a stir for advertisers. One such change occurred in the last couple of weeks when Google announced a change to their status hover button in Adwords. Expected Click Through Rate – based on the competition and ad position, how likely is the keyword expected to generate a click. The caveat is that even though this indicator shows for all keywords, Google maintains that this indicator is only considering exact match types. Ad Relevance – this indicator makes a determination on how well the keyword matches the messaging in the ad copy. While on the surface this might seem arbitrary, my guess is that this shows paid search’s move towards Google’s semantic search updates. Landing Page Experience – should a user click on your ad based on their keyword search, does the landing page then provide a good user experience? This stage is where on-page optimization and usability best guidelines come into play. As can be expected, Google’s indicators remain somewhat vague – not providing tangible data to analyze; however, that doesn’t mean the information isn’t useful. Each indicator is comparative to competition, with statuses listed as “below average”, “average”, or “above average”, which is a major improvement over the previous, slightly less helpful statuses of “poor”, “no problems” or “above average”. While this won’t help in every situation, it will provide some assurance for those keywords where the quality score might be low but each of the indicators show “above average” – meaning that while the keyword may not be that relevant, it is outperforming competitors in the industry. For those currently running campaigns – have you found the indicators helpful? Have they impacted your campaign maintenance process? If so, let us know what you think! Sometimes we neglect to research about our competitors. It’s best to know about them so you know how and what to improve about your own product.